Whenever I get a new phone, I download a bunch of apps with similar functionalities, test them out, and find out which ones I like best. I check out a number of photo-editing apps to see which one suits my Instagram needs, a few Internet browsers to see which one has the interface I like most, and likewise, I do the same with keyboards. A few keyboards caught my eye. Outside of the regular keyboard features we’ve come to know and expect like trace/gesture functionality and customisable themes, Ginger Keyboard boasts a whole host of other cool features — some of which we might not even have realised we wanted in a keyboard. Most fascinating to me is that Ginger Keyboard allows users to view both messaging threads and current news or games such as 2048 and Snake in a single page. 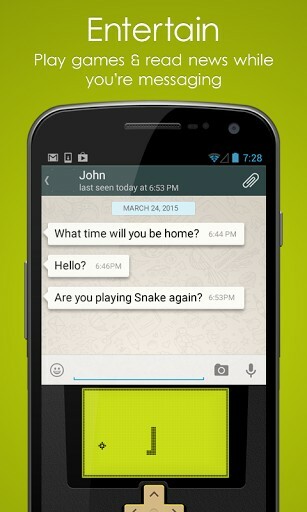 This means that you will be able to keep yourself occupied while waiting for message replies. The keyboard also gives you the option to translate, rephrase, or define words, so becoming a wordsmith is literally just a finger-tap away. 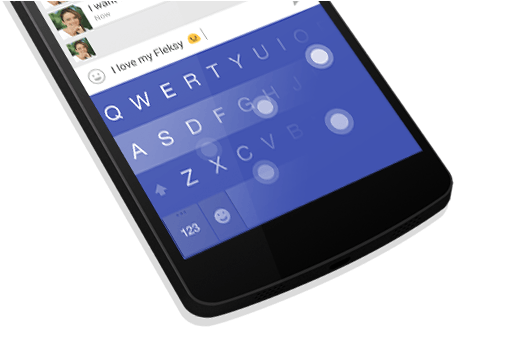 Fleksy prides itself on having such an accurate and adaptive prediction engine that one of its extensions allows you to turn the keyboard transparent (Android version only). 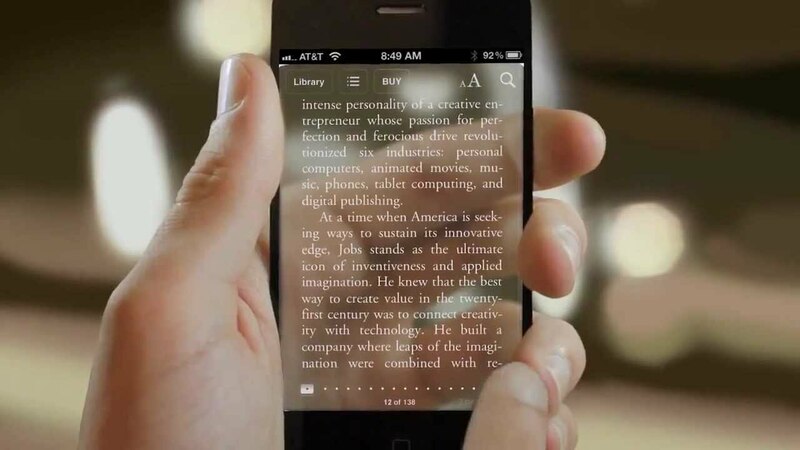 This ensures that you can take in the full glory of your screen as you type, without the keyboard getting in the way. 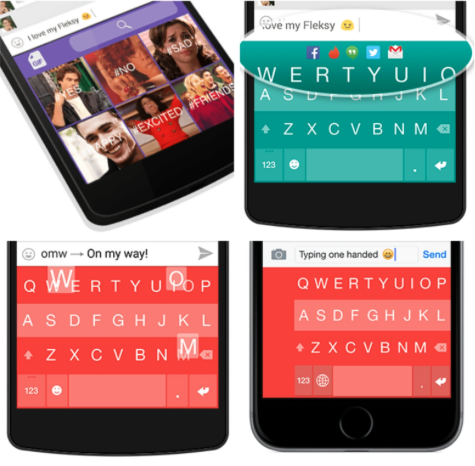 Among Fleksy’s other extensions include the ability to send GIFs as easily as emoticons, the option to optimise your keyboard for typing one-handed (iOS version only), Android-only features such as launching apps on your phone via Fleksy, and setting up shortcuts to type even faster. If you’re addicted to #hashtags, then this one was made for you: one of Fleksy’s latest updates has it suggesting relevant hashtags with every word you type. You’ll have more hashtags at your disposal to tag your photos with on Instagram, and you won’t even need to memorise a single one. Is the written language not enough to capture the depth and complexity of your thoughts? TouchPal’s keyboard was designed to solve this problem, particularly in the emoticon department. As you type, TouchPal will occasionally suggest relevant emojis to go with — or even replace — your words. Want to use more unique emojis? 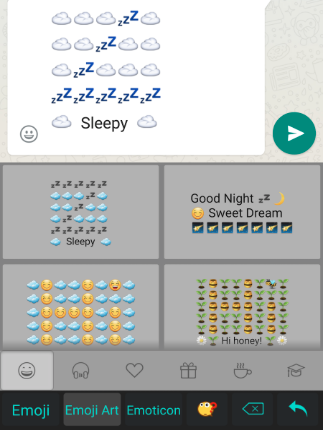 TouchPal comes equipped with more elaborate emoji art to better get your emotions across. 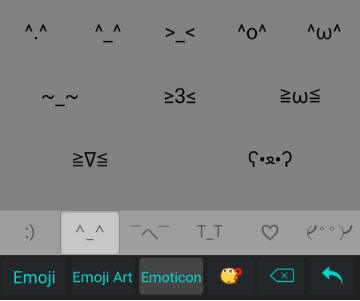 If you’re more ^_^ than :), TouchPal also offers an array of ASCII/”Japanese-style” emoticons at your disposal. 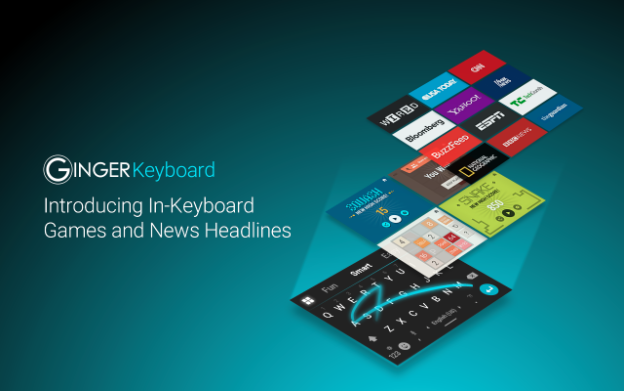 As keyboards continue to evolve, what new and interesting features will we get to try out next? Tell us your ideas in the comments below! This article was submitted via Vulcan Post’s submission page by Edwin, whose fascination for stories and art spans the horizon.